Game of Thrones isn’t going to return to HBO again until next year, but if you’re looking for your fix of the popular show you might be able to get it in another way: whisky. 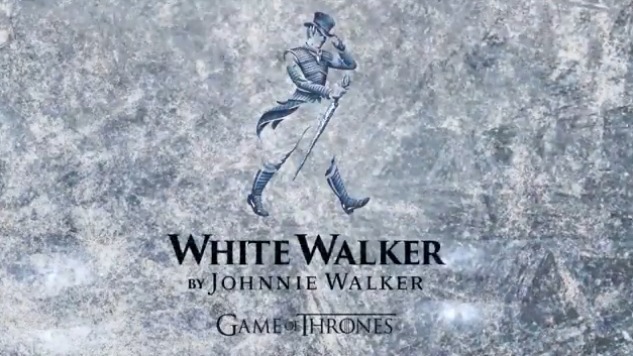 Johnnie Walker posted a teaser video of a new scotch headed to the realm later this year: White Walker, a Game of Thrones-themed bottle of the scotch whisky. For now, little is known about the release except “Scotch is coming” and it’s coming this year. And it’s not the first themed bottle of Johnnie Walker that we’ve seen. The brand released a Blade Runner 2049 bottle in conjunction with the release of the film last October, and a Jane Walker bottle earlier this year to celebrate International Women’s Day. In the case of the limited-edition Blade Runner bottle, the bottle was a rebranded version of Johnnie Walker Black Label, which was specially blended for the film by Master Blender Jim Beverage in collaboration with filmmaker Denis Villeneuve. In addition to its own label, it also had a special bottle design. As a nod to the year 2049, it was also bottled at 49% ABV. As for when we’ll see the release of the new Game of Thrones whisky, Johnnie Walker has only said “2018,” but we’re hoping the scotch will show up sooner rather than later.